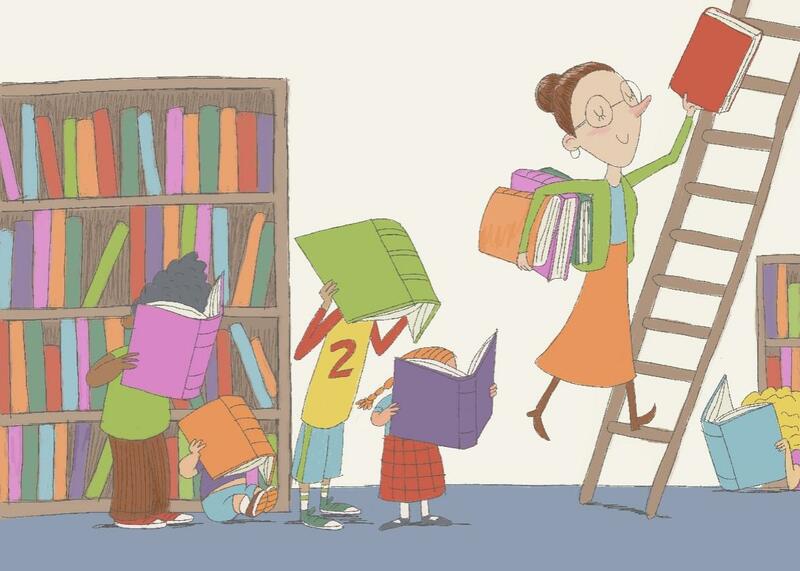 The best books for kids, chosen by children's librarians. Sometimes that eighth reading of Little Blue Truck is just too much to contemplate—but finding another book your kid wants to read can be a challenge. So we asked the people who really know what books kids respond to: children’s librarians. They named 18 undersung titles that always work at story time. A great book for caregivers trying to teach sharing and goat enthusiasts alike! There are a lot of books about sharing, but the illustrations, and the subtlety of the message, make this one special. It gets laughs every time, but it also starts conversations. —N.G. When Sam gets bored by her pet hamster, she starts to imagine all kinds of possible pets. With great illustrations, this is a fun introduction to mythological creatures that reminds kids that hamsters have a lot of advantages. —M.L. George is a dog who tries so hard to be good, but he just can’t seem to get it right. George’s sincerity, and his owner’s patient reaction, are comforting for kids at an age where learning to do the right thing is frequently met with near misses. —N.G. Books about different kinds of families are nothing new, but the diversity in One Family makes it a standout. Large families, multiracial families, LGBTQ families, and other families that extend beyond the typical nuclear family are all represented. —N.G. Few books broach the subject of diversity as thoughtfully as Strictly No Elephants. Readers empathize with the boy and girl turned away from Pet Club for their unorthodox pets (a tiny elephant and a skunk) and come to understand the importance of a club that welcomes everyone. —N.G. Interstellar Cinderella is a retelling of the classic fairy tale with added robots and rocket ships. Interstellar Cinderella is a heroine that young children, especially girls interested in science, can look up to. Recommended for families that have worn out their copy of Rosie Revere, Engineer. —L.R. Featuring a pink-haired heroine with a knack for mechanics and a robot mouse friend, Interstellar Cinderella has beautiful illustrations and a well-written rhyme scheme perfect for sharing out loud. —N.G. A sweet look at four different two-person families, written in charming verse, through the seasons. Very satisfying for children who need a quiet cuddle. —M.L. Full of cheer and fun, this book is a great celebration of friendship. —M.L. Leo is sweet, kind, and a ghost. His desire to find a friend will resonate with everyone. The illustrations are so charming, and Leo so earnest, that you can’t help but fall in love. —L.R. Winifred Schnitzel is not afraid of the monsters that interrupt her bedtime, but she does need to catch up on her sleep! This any-time read is light-hearted and silly as families discover how Winifred prevents the monsters from bothering her any more. —M.L. Beautifully illustrated, this is the story of a young girl who loves caring for her chickens. When a fox gets into the hen house, Sonya’s dad thoughtfully explains what happened to her chicken, providing her and the reader with a gentle introduction to death. —M.L. A gentle and compassionate explanation of the circle of life. It presents the fox as a mother caring for her family, just as Sonya cared for her chickens. —N.G. Great for older picture book readers, this retelling of the Three Little Pigs is full of excitement and action. The pigs learn the importance of finishing their martial-arts training—just in time to defend themselves from that notorious wolf. —M.L. This workbook explains anxiety to children using analogies they can understand, and helps them develop techniques to fight it. One of the best books out there to help kids with worry and fear—and it works for grown-ups, too. —L.R. Rosenstock brings a lot of warmth to the story of how one of the pre-eminent photographers of the Great Depression started documenting the faces of America. —M.L. Nikki Glassley is children’s services librarian at the Trafalgar Branch of the Johnson County Public Library in Trafalgar, Indiana. Margaret Levine is a children’s librarian in Boston. Lindsey Recka is a children’s and YA librarian at Topsfield Town Library in Topsfield, Massachusetts.